The immediate future for the 133-acre site of the West Linn Paper Company (WLPC) remains unclear, as the company works to resolve court disputes, debt obligations and other pressing matters in the wake of an October announcement that it would close for good by the end of the year. Eventually, a new property owner will arrive at the riverfront site, likely prompting the Oregon Department of Environmental Quality (DEQ) to get involved. The industrial site, after all, hosted an array of machinery and fuel oil tanks — as well as pulping and bleaching operations that ceased in 1990 — dating back to when the paper mill was first installed in 1889. There were also several hazardous substance spills reported over the years, according to a 2004 "preliminary site assessment" conducted by DEQ. Cleanup — be it minor or major — will have to occur at some point, most likely once a new prospective property owner has been identified. "In general, we do some investigation and assess what contamination might be present and how significant it is," said Paul Seidel, the acting manager of DEQ's Northwest Region Cleanup Program. "(There are) old fuel oil tanks, historic spills or releases that may have been documented … the real information comes from environmental sampling done as part of an investigation. Often, that will occur as part of a property transaction, but I'm not sure how it will occur at this site." West Linn Paper announced Oct. 16 that it would close for good after 128 years of business, citing a sudden shortage of pulp supply that crippled the business. The shutdown process began immediately following that announcement, and it was expected that the site would be vacated by the end of the year. Currently there is no DEQ project manager assigned to the West Linn Paper site, according to Seidel. That manager will likely arrive further down the line when a clearer picture emerges for the site's future. "If they come into the (cleanup) program, whether through a 'Prospective Purchaser Agreement' or some other kind of volunteer agreement, then we would assign a project manager at that time," Seidel said. A Prospective Purchaser Agreement (PPA) is often used for property transactions, according to Seidel, and is a legally binding agreement between DEQ and a potential purchaser or lessee of a property. According to DEQ's website, a PPA "limits the purchaser's or lessee's liability to DEQ for environmental cleanup of the property" and in return, the PPA "must provide the state with a substantial public benefit." Such public benefits, according to DEQ, include funding of environmental cleanup, the performance of the cleanup itself, the "productive reuse of an abandoned or vacant industrial or commercial facility" or the development of the property by a government or nonprofit entity for "an important public purpose." A PPA must be negotiated before the purchase of the property is completed. "The other way (to perform cleanup) would be if the current owner wanted to resolve it, they could come and enter an agreement to perform that work through a voluntary agreement or some other type of agreement with us," Seidel said. Ultimately, according to Seidel, the hope would be for any needed cleanup actions to generate a "no further action" decision from DEQ. Such a declaration can only come after DEQ has concluded that the site "poses no unacceptable risks to human health or the environment." The 2004 preliminary site assessment from DEQ showed that West Linn Paper's environmental practices evolved largely in step with growing regulatory practices in the 20th century. "Prior to the 1980s, environmental and public health record keeping at the mill was sporadic and poorly organized," DEQ's Chuck Harman wrote in the report. "The changes in ownership and operations over time have also contributed to variations in the consistency and accuracy of the facility's records." The report further noted that "there have been numerous spills and other releases of hazardous and non-hazardous substances over the years in which the mill has operated," and in the 1980s DEQ issued several "Notices of Non-compliance" regarding violations of the mill's National Pollution Discharge Elimination System permits, which were addressed in the decades that followed. "ODEQ records indicate that the previous operators and WLPC took action to address problems with its wastewater system and spill control management that had led to the violations," Harman wrote. The 2004 report found little cause for concern with regard to oil tank spills, groundwater or soil contamination. Surface water was left in question. "The main environmental concern at the West Linn Paper Company paper mill is exposure of aquatic species to contaminants in surface water sediments downstream from the plant," Harman wrote. "There are numerous documented instances of spills at the plant, and historic aerial photographs indicate large discharges most likely occurred regularly in the plant's historic (pre-1970) operations." 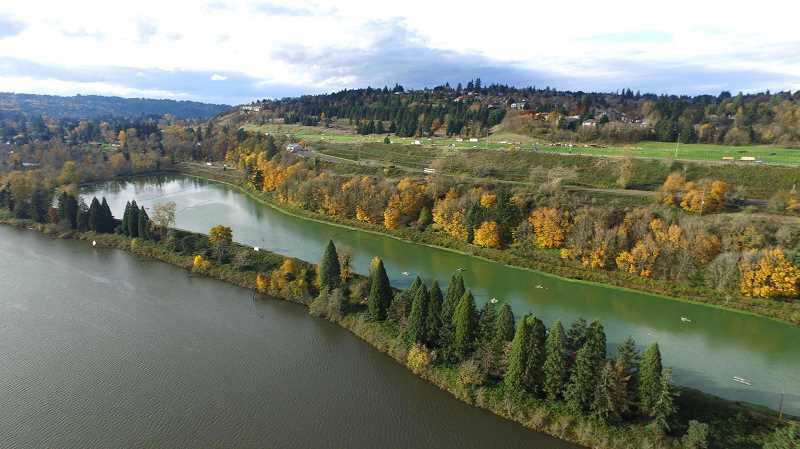 Harman recommended sampling of Willamette River sediments downstream from the mill, while noting that "any future structural changes to the plant should incorporate additional investigations before any construction activity is initiated." He added that the site should be examined for asbestos or other contaminants in the lower foundational areas during future reconstruction, refurbishment or deconstruction activities. West Linn Paper representatives did not wish to comment for this story. In the immediate aftermath of the closing announcement, Chief Operating Officer Brian Konen said that, "We'll obviously take care of the property." "Our environmental impact is very minor, we'll obviously be responsible there," Konen added.